Another member of the defense team, Jeffrey Lichtman, said they waged a vigorous defense against an “avalanche” of evidence and cooperating witnesses. They plan to file an appeal on a number of issues. Federal prosecutors said they will seek a forfeiture judgment for billions of dollars constituting the cartel’s illegal drug-trafficking proceeds. 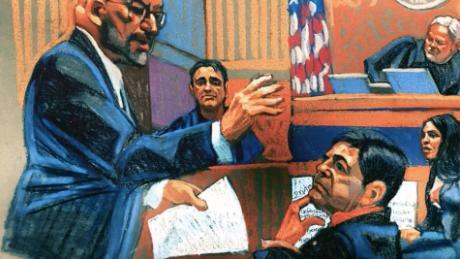 The high-profile trial centered on the struggles and actions of El Chapo, who came from humble origins in the heart of Mexico’s rugged three-state Golden Triangle to become its most infamous native son. It included stunning testimony of corruption at nearly every echelon of Mexico’s government, from police and military commanders to local and state officials to former presidents who vehemently denied the allegations. Under El Chapo, the Sinaloa cartel smuggled narcotics to wholesale distributors in Arizona, Atlanta, Chicago, Los Angeles, Miami, New York. 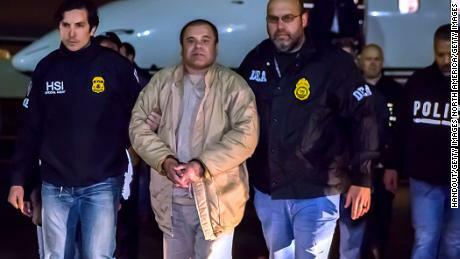 , Experts have said that Guzmán’s capture in 2016, extradition one year later and conviction this week has not — and will not — diminish the power and reach of the Sinaloa cartel. CNN’s Maria Santana and Eric Levenson contributed to this report.